BARN PRODUCTIONS was established in 2006 by Barry Johnston as a producer, abridger and packager of audiobooks for clients such as Hodder & Stoughton, BBC, Time Warner, Simon & Schuster, Hachette Audio and Heavy Entertainment. It was originally based in a converted Victorian barn in Rutland, but is now located near Chichester. 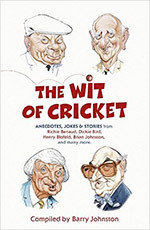 BARRY JOHNSTON has abridged and produced more than 100 audiobooks such as the award-winning Johnners at the Beeb and An Evening with Johnners and the No.1 bestseller The Wit of Cricket. 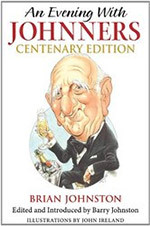 He has also published nine books, including two critically-acclaimed biographies of Kenneth Horne and of his father, the late BBC cricket commentator Brian Johnston. 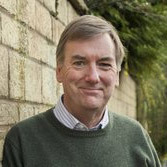 In recent years, Barry has worked for major publishers as an editor or copyeditor on dozens of books by authors such as Robert Peston, Chris Ryan, Jo Brand, Sir Ranulph Fiennes, Mick Fleetwood, Graham Hancock, Levison Wood, Tony Hawks, and many more. He has also abridged numerous books for Book of the Week and Book at Bedtime on BBC Radio 4. 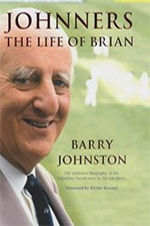 Barry Johnston was educated at Eton College. After leaving school he became a songwriter for The Beatles’ company Apple Publishing, and then joined the vocal harmony group Design who appeared on over fifty TV shows in the 1970s including Morecambe and Wise, Tommy Cooper, Benny Hill and The Two Ronnies. When the group ended after eight years, Barry became the personal manager of The New Seekers. Then in 1981 he moved to Hollywood where he enrolled at the Los Angeles Broadcasting School. He was signed up by KLOA-AM Radio in Ridgecrest, California, and presented the KLOA breakfast show for two years. In 1985 Barry returned to England and became a presenter on BBC Radio Sussex in Brighton. Over the next eight years he presented almost every programme including the breakfast show Good Morning Sussex and the daily consumer programme Sussex Standard. In 1990 he was invited to join the new BBC Radio 5 and was the presenter of the Sunday breakfast show Sunday Edition for 18 months. 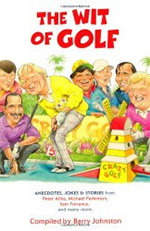 In 1992 Barry formed BARRYMOUR PRODUCTIONS with ex-BBC producer Chris Seymour and began to make the move from broadcasting into production and writing. 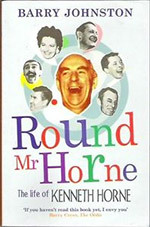 Since then he has produced dozens of audiobooks for major companies such as BBC, Hodder Headline and Macmillan, and has recorded Tony Benn, Dickie Bird, Henry Blofeld, Steve Coogan, Jack Dee, John Humphrys, Maureen Lipman, Sir Michael Parkinson, Alan Titchmarsh and Shane Warne, among many others. In 2007 Barry took over BarryMour Productions and its catalogue is now administered by Barn Productions.